The American Library Association (ALA) has selected FryskLab as one of three winners of the “Presidential Citation for Innovative International Library Projects”. This award for international library innovations will be handed out on June 26 at the annual ALA conference at the Chicago Public Library. FryskLab was nominated for the prize by Ellen Tise, former president of the International Federation of Library Associations and Institutions (IFLA) and now director of the University Library of Stellenbosch, South Africa. 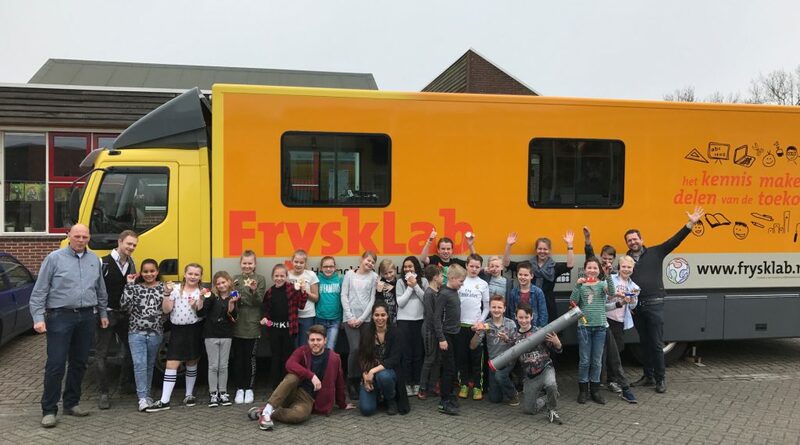 FryskLab is an initiative of Library Service Friesland (BSF) and the Frisian public libraries. 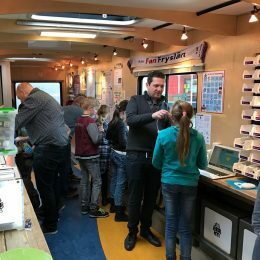 It is the first mobile LibraryFabLab in Europe. The main objective of the project is to contribute to the innovation strength of the province of Friesland. At it’s core is to improve digital literacy and maker skills for children and teenagers in and beyond the mobile library lab environment. FryskLab at the Dr. Algraschool in Leeuwarden, The Netherlands, March 13, 2017. The educational offerings of FryskLab are part of the fields of digital literacy and maker education. Both are increasingly receiving attention from the Dutch national government. The new Dutch cabinet has recently decided to improve digital literacy skills in schools. The topic is also on the agenda of the National Library of the Netherlands. They formulated new ambitions and goals in their 2016-2018 Vision on Media Literacy and have added a third, new role for public libraries: that of a Workshop. As part of the new Vision, BSF/FryskLab in 2017 performs three pilots to test the new ‘Workshop’ focus in practice. FryskLab is part of the international FabLab (fabrication laboratory) network, as conceived by Neil Gershenfeld, director of the Center for Bits and Atoms (CBA) at the Massachusetts Institute of Technology (MIT). Worldwide, more than 1,000 FabLabs are operationally connected to each other through a unique international network. In the Netherlands there are over 45 FabLabs.